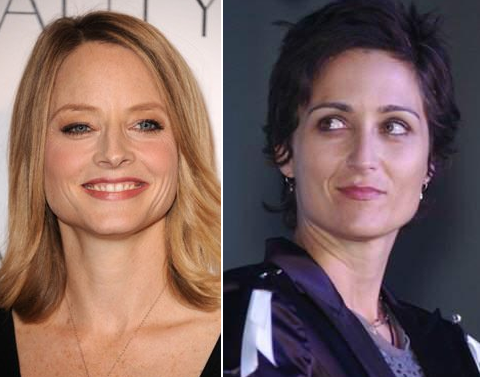 Actress Jodie Foster's new wife is rumored to be still in close contact with her ex-girlfriend. Jodie Foster is in the midst of wedded bliss, but that dream could turn into her worst nightmare if she knew she wasn’t the only woman in her new wife’s life. RadarOnline.com has learned that the Oscar-winner’s photographer other half Alexandra Hedison is still in touch with one of her longtime loves. So just who is this other woman? Prominent Los Angeles divorce attorney Joy Stanley, a source tells Radar. “They are still close and speak with each other often,” said the source. Hedison actually met Stanley after one of the darkest periods in her life. As was widely reported at the time, Hedison’s first high profile relationship was with Ellen DeGeneres, who dated The L-Word actress for four years until their sudden split in 2004, which reportedly occurred shortly after the comedienne-on-the-rise hooked up with Portia de Rossi. In fact, Hedison was so distraught by the break-up that there was even talk that she had considered taking DeGeneres to court to demand palimony and suing her stunning new lover, de Rossi, for maliciously interfering and, in essence, stealing the comedienne from her (aka “alienation of affection”), leading to the end of their relationship. It took a year and a half to heal from the heartbreak, and in 2006, Hedison met Stanley – her first relationship after DeGeneres. But this was no rebound. The couple was very serious and dated for two years.